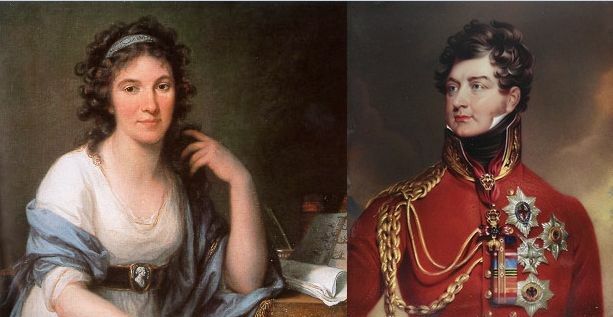 Just before 5 p.m. on the evening of Monday, 11 July 1814, Cornelia Knight walked over from Warwick House for a meeting with the Prince Regent at Carlton House. Princess Charlotte had been summoned as well, but she had stayed behind, claiming that a sore knee prevented her from walking. Miss Knight was anxious, the more so for being left to face the Regent on her own. A few days earlier her friend Lady Rolle had warned her that the Prince was planning changes, and had reassured her that, if she suddenly needed somewhere to stay, she would always be welcome at the Rolles London house. Since then she had learned that the Duchess of Leeds had been asked to resign. Naturally the lady companion now feared for her own position as well. The Regent was ‘very cold, very bitter, and very silent’. He had heard that a German prince had been paying court to his daughter. Miss Knight reassured him that Prince Leopold of Saxe-Coburg was an honourable man. He had called only once at Warwick House and had behaved impeccably, and both she and the Duchess had been present throughout his visit. The Regent did not disagree. He knew that Prince Leopold had behaved entirely properly. He had just received a long letter from the young Prince assuring him that his intentions were honourable and that he had only gone to Warwick House at the invitation of the Princess. The Prince about whom he complained was Prince August of Prussia. When Miss Knight had delivered a similar but slightly less honest defence of Prince August, the Regent dismissed her and warned, that if his daughter did not come next day to explain herself, he would go to her. Back at Warwick House, where Mercer was waiting with Charlotte, Miss Knight reported all that had been said. Charlotte and Mercer were disappointed. They had hoped that Prince Leopold was romantic enough to keep his courting a secret, and Miss Knight was dismayed to have discovered that Prince August’s courting was even less of a secret.